If you are planning a trip to Brazil, Rio de Janeiro should be in your plan. And guess what? We have found the 3 best hostels in Rio de Janeiro for you to add even more fun to your trip. Rio de Janeiro is not only famous for its carnival. 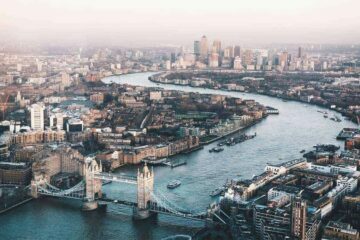 It is also a fun city which is developing quite fast. An ideal place for those curious backpackers looking for fun, awesome beaches, and new friends. We condensed it all to the 3 best hostels in Rio de Janeiro. We have included much more useful information for your trip. Average price for a bed: Hostels in Rio de Janeiro cost from 9$ to 14$ per night for a bed in a dorm. A private room starts from 30$ per night. This is a rough average just to give you an idea. Let’s jump right into the boutique hostels in Rio de Janeiro. 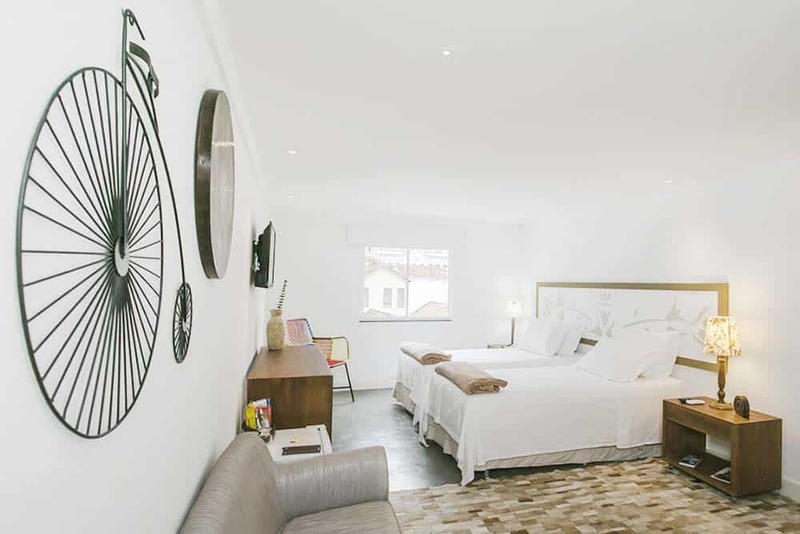 Villa 25 hostel is found in a retrofitted historic villa that combines luxury with the warmth of carioca. The hostel is location in the traditional and quiet Laranjeiras neighbourhood in the south of Rio de Janeiro, giving guests a break from the hectic cosmopolitan. 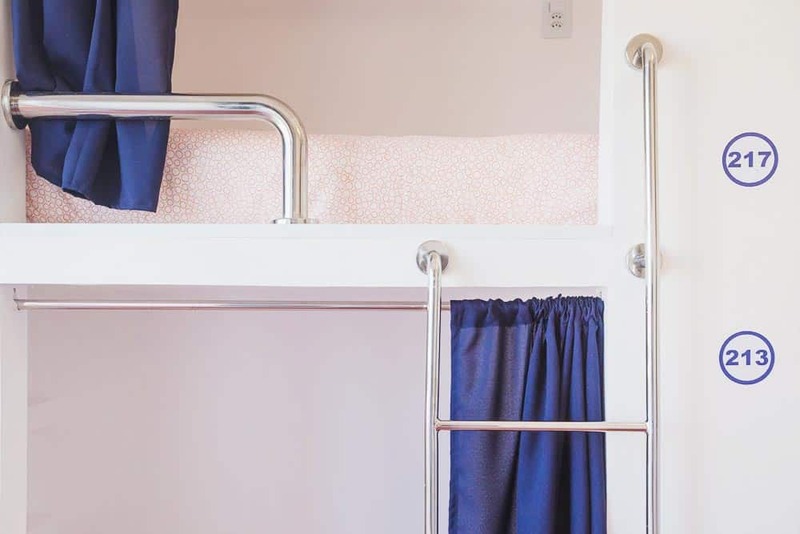 The hostel is only a short walk from the Largo do Machado subway station, and only three stops from the beaches at Copacabana and Ipanema stations, as well as downtown Rio de Janeiro. 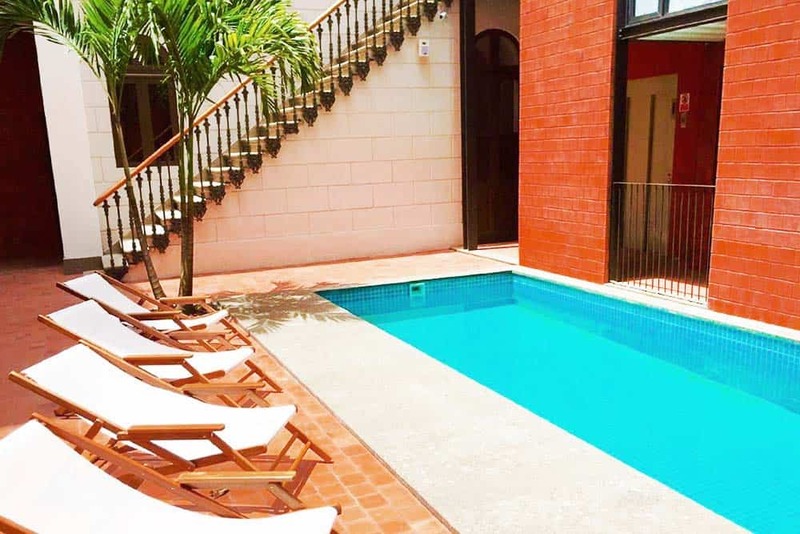 The hostel has rooms in their new building, cabine, and the historic villa itself. In the new building are private rooms that accommodate up to four guests with a private bathroom. 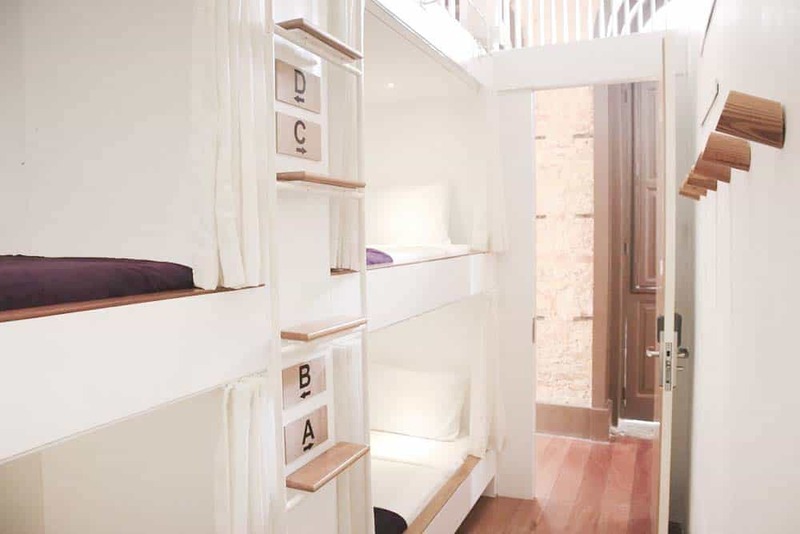 In the cabine are shared rooms with pod bunks that can accommodate 6-12 guests with specific male/female rooms for guests who desire them. In the historic villa are more private rooms that can accommodate up to three guests with private bathrooms. Some rooms come with balconies. Villa 25 has a social lounge with a TV, co-working space, and a swimming pool for guests to enjoy when they are not exploring the city. There is a gastrobar on site where you can get a drink or something to eat. 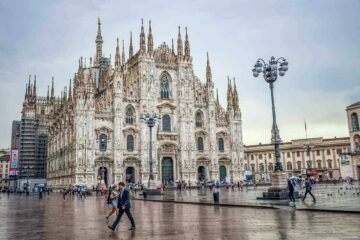 There is no curfew and the reception is open 24-hours so you can enjoy the city at all hours of the day, as well as ask staff for recommendations of the best places to go. The brightly coloured Da Lapa Design Hotel is at the center of the Lapa neighbourhood, Rio’s central district. The hostel is only a few steps way from Lapa’s restaurants and bars. Everything at Da Lapa breathes art. 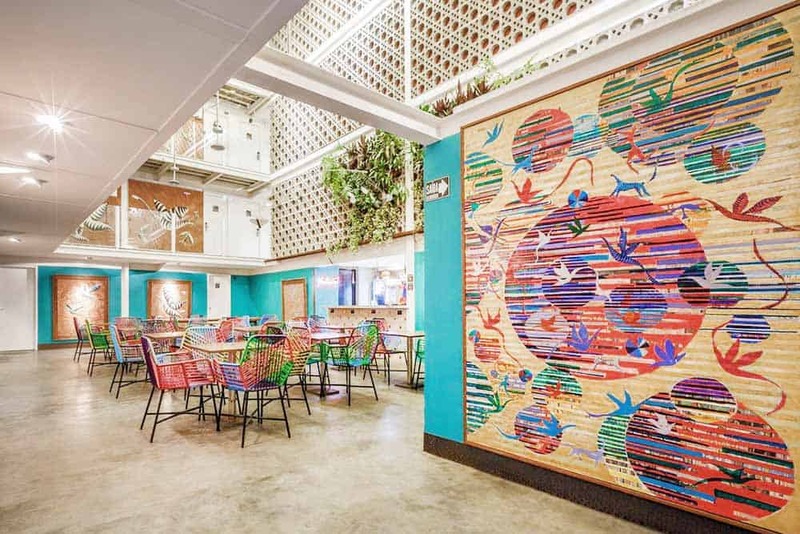 A local artist painted the walls, and there are rehearsal, studio, and cinema rooms that guests can take advantage of to get their creative juices flowing while in the city. Private rooms sleep up to two people and have private washrooms. There are accessible private rooms for persons with disabilities available. 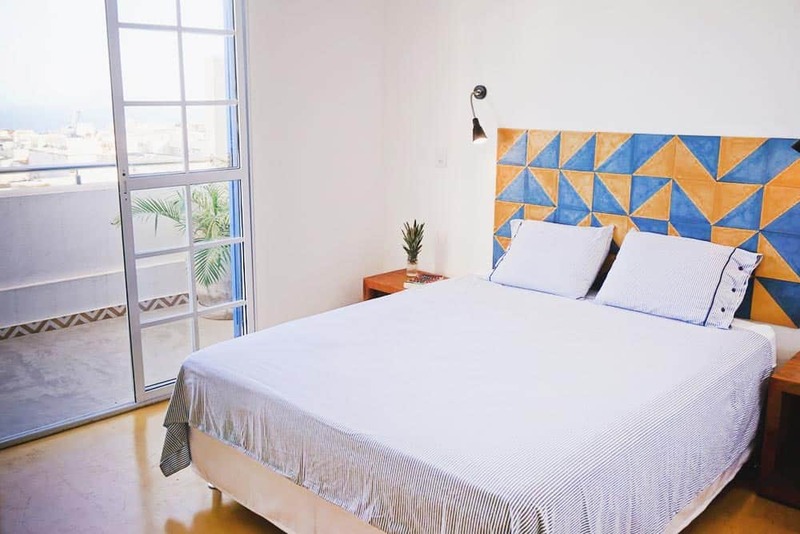 Shared rooms have 6, 8, 10, and 12 beds, and are mixed as well exclusively male or female so you can choose the experience that makes you the most comfortable. Shared dormitory rooms have a shared bathroom. On the weekend you can enjoy the hotel bar with DJs or live music and a party that doesn’t end until the morning. The hostel is located near the traditional concert halls and a subway station so you can easily get to the historic parts of the city. 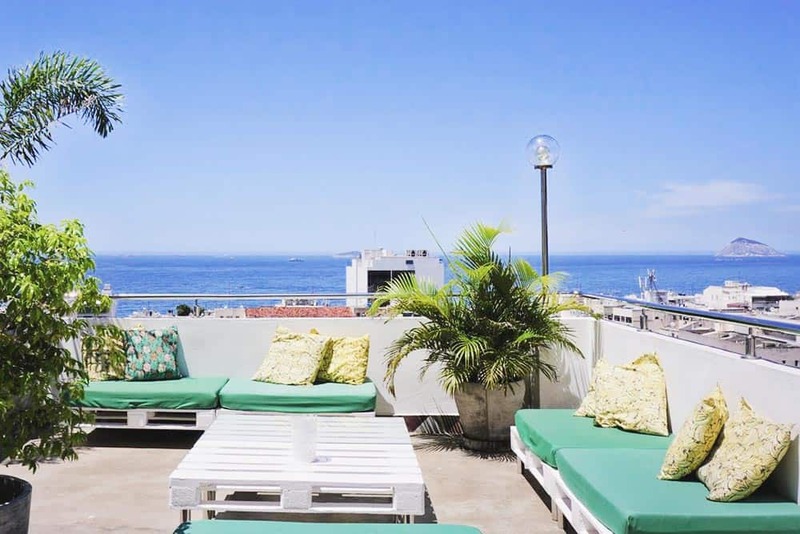 Between the favela of Babilonia and the beach at Copacabana is the Aquarela do Leme hostel. The hostel is located in a safe neighbourhood that leaves you walking distance from some of Rio’s top tourist destinations. Private suites accommodate 2-4 people with a private bathroom. There are two-person private suites that are wheelchair accessible. 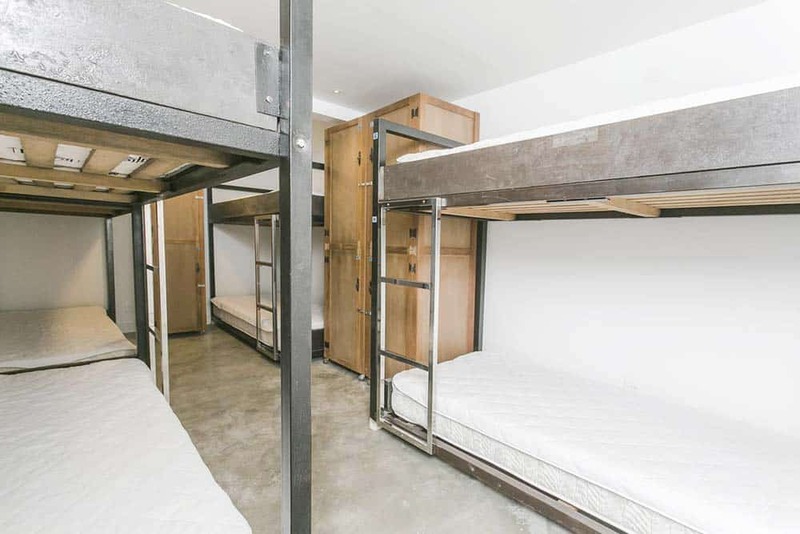 Mixed shared dormitories sleep up to eight people with separate male and female washrooms. 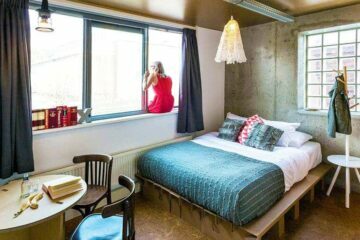 Female only dormitories sleep up to 10 people. All rooms have a balcony with a view of the ocean, jungle, or city. The front desk is staffed 24-hours so there will always be someone there to answer your questions or give you a recommendation. 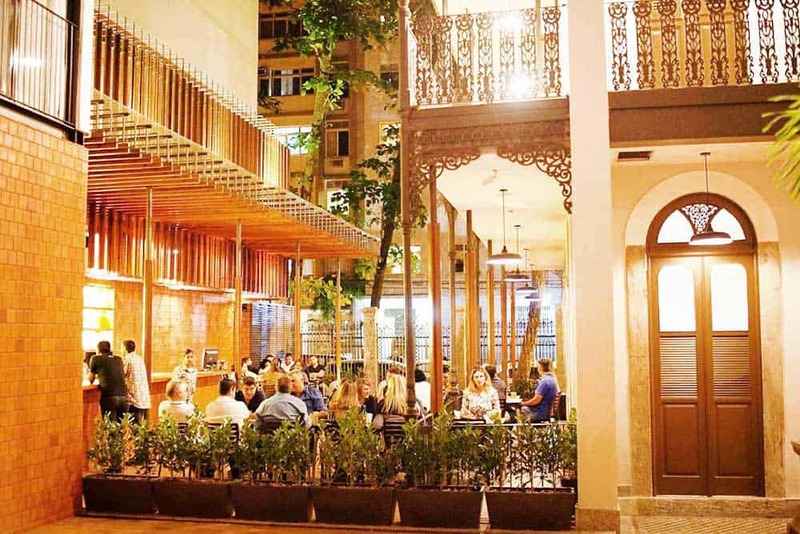 Aquarela do Leme has no curfew so you can take advantage of Rio’s vibrant nightlife. In the evening, you can take advantage of the lounge or watch the sunset from the terrace on the roof. What about cheapest hostels in Rio de Janeiro? Of course, there are always cheap hostels in Rio de Janeiro. Concretely in Rio de Janeiro, a cheaper price could also mean a dirty place or even an insecure location. 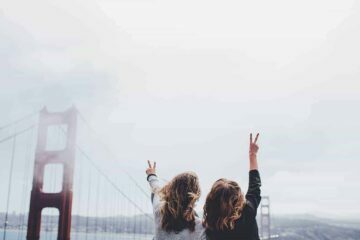 However, if you are traveling on a shoe-string budget and you wanna save every penny, there are ways to find the cheapest places in Rio de Janeiro. Make sure you use then the other filters and rank per price. Also keep a close eye on the ratings, especially the “extreme ratings”. Meaning, the best and worst. These ratings can give great insight on what to expect. 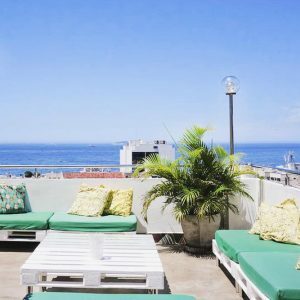 Best Hostels in Rio de Janeiro for Solo Travellers? What is the serious, best hostel in Rio de Janeiro for solo-travellers? Aquarela do Leme is an awesome place for those traveling solo around Rio de Janeiro. Clean and air conditioned rooms with hot showers, helpful staff, amazing breakfast buffet and a rooftop bar. It also has great Wi-Fi and it is located in a safe neighborhood. All the basics a solo travelers needs, right? Alright alright, we know you want to have fun in Rio. 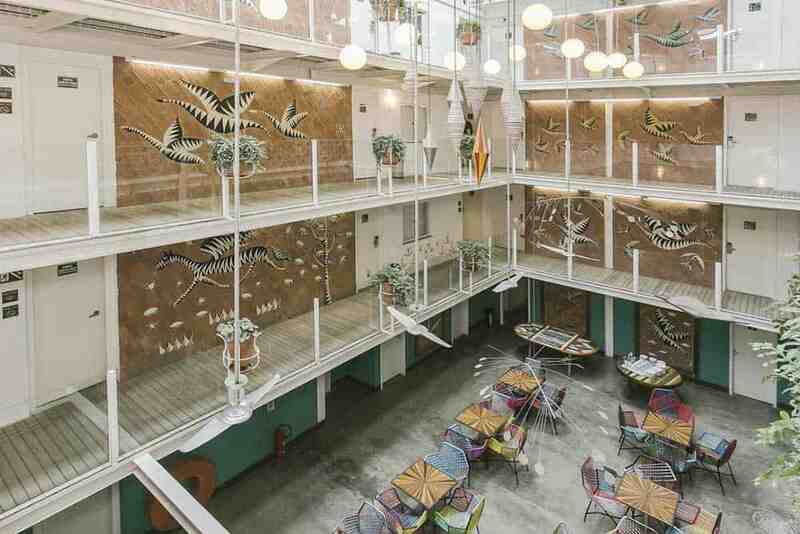 So here’s the coolest party hostel in Rio de Janeiro. Looking for a good time with new found friends? You’re in for a treat! 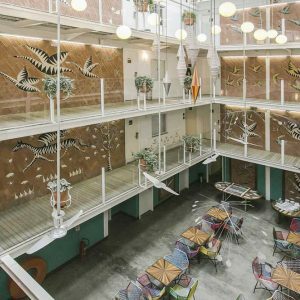 Da Lapa design hostel is not only a design-led hostel with a bar on site but it is in the middle of the party hub neighbourhood. 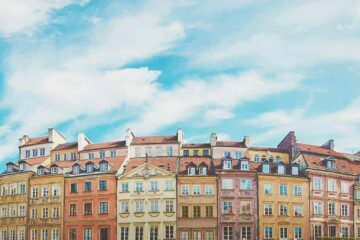 Here’s our guide on how to book hostels with Hostelworld. All of Rio de Janeiro best hostels are popular; especially in high-season. Currently, we have no special hostel discounts in Rio de Janeiro. I know, it’s a pity. You can subscribe to our newsletter to receive our newest hostel discounts always to your inbox. Let us have a look on the map. 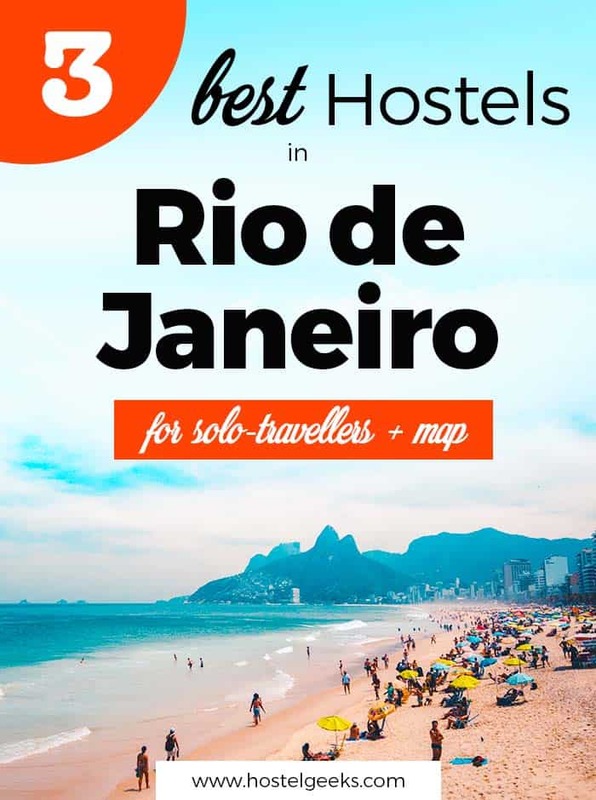 Below we list all three best Rio de Janeiro hostels on a map. 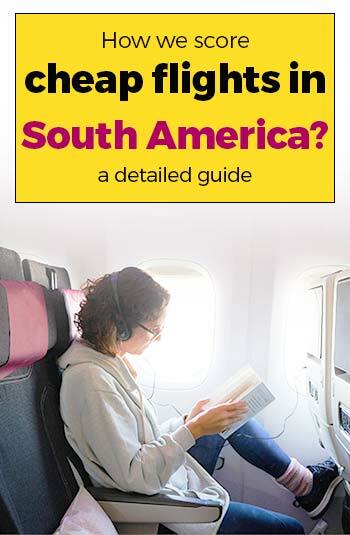 Flights to Rio de Janeiro? Suprisingly, there are many cheap flights from the United States to Rio de Janeiro. We enjoy Kiwi.com to find cheap flights all over Rio de Janeiro. Alright, this is your answer to where to stay in Rio de Janeiro. Then please please leave us a comment. 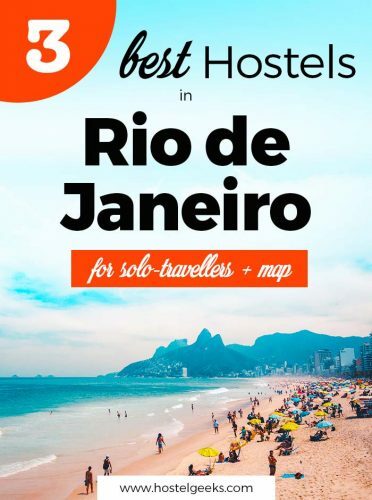 This list of awesome Rio de Janeiro hostels should be as informative and useful as possible. We will never recommend you any place we haven’t evaluated or are not convinced by. Here we only share with you places we also recommend to our best friends and family!